After a dry Spring and a dry Summer, now we’re having a cold dry Winter. It’s hard on the wildlife and I suspect that’s why I seem to have many more visiting birds than usual. There’s so much sploshing around in the bird bowl that I’m having to refill it twice a day. 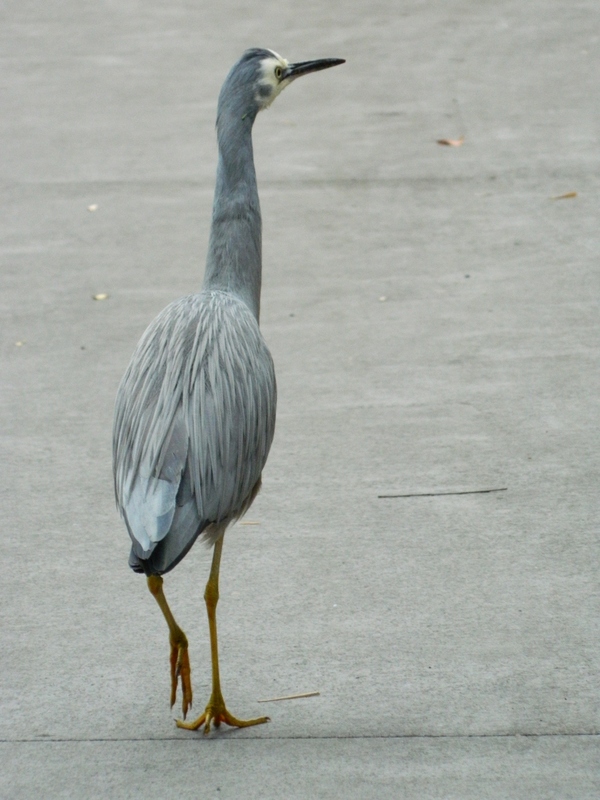 Yesterday I noticed this White-faced Heron strutting around the pond. It had stopped in either for a drink, or to terrorise the few remaining goldfish by staring trance-like into the water. It seemed relatively un-concerned with my presence, and allowed me to get fairly close before retreating with its characteristic slow-motion walk. After exploring the garden for half an hour or so, it wandered slowly and elegantly off down my driveway – probably heading for my neighbours pond. Beautiful photo. 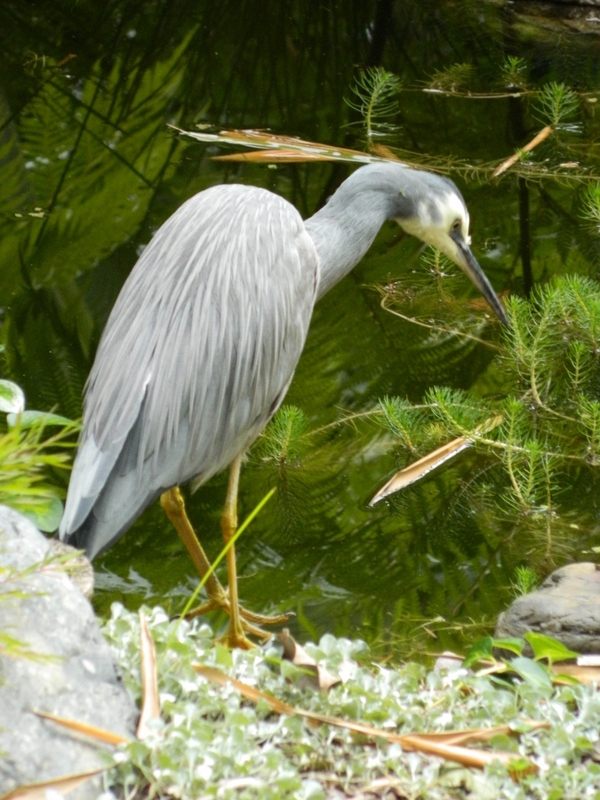 I like the idea of the heron staring into the pond to terrorize the fish! Poor little things, they are hiding somewhere at the bottom of the pond. Elegant bird. But what would one expect chez nous?